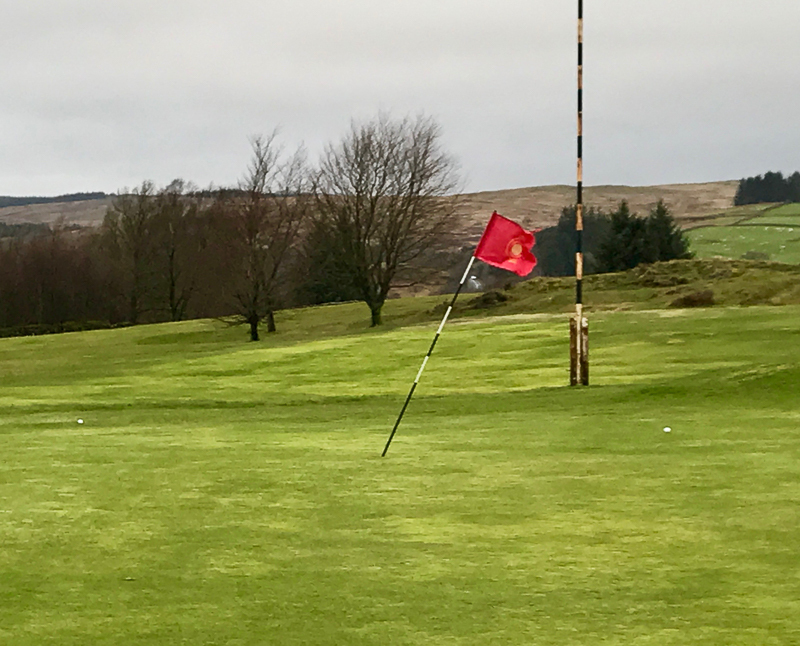 …and normal service was resumed (ie a chip +2 putts and not a flukey chip in. Sniff). 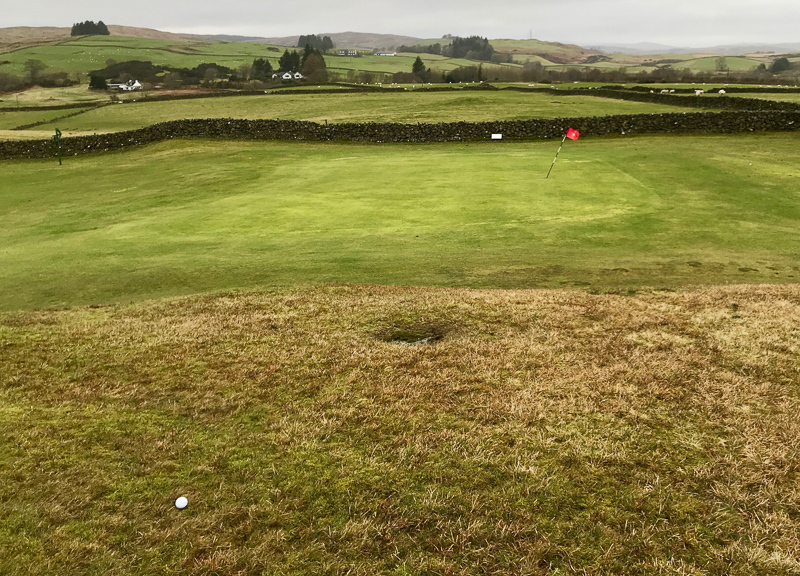 New rules update aka the law of unintended consequences: Now we can putt without removing the flag, it is harder to see on the 7th tee whether the preceding group has left the green or not. We’ll maybe need to leave one trolley at the front of the green within sight of the tee? Luckily, it meant I was still loitering just off the green when Kay hit this lovely tee shot up for a chance at a 2. (See below for how it went). 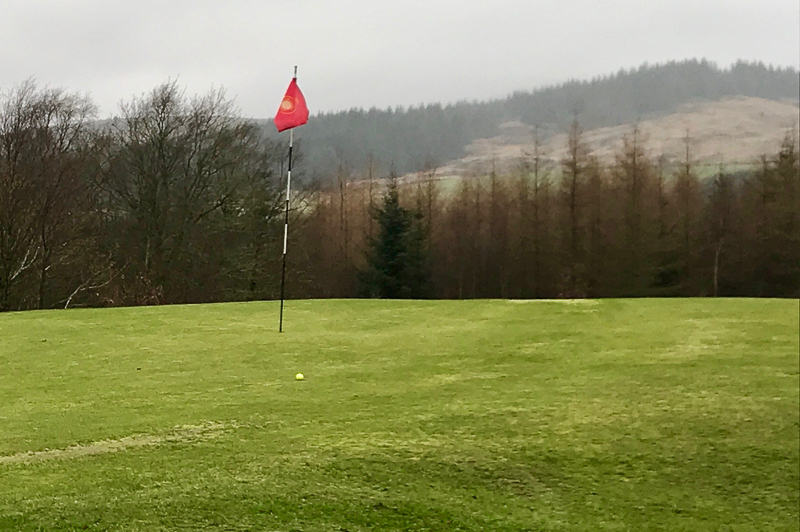 If you’ve not played the course yet, you won’t appreciate how hard it is to stop your ball on the 7th green – rain, wind or shine! 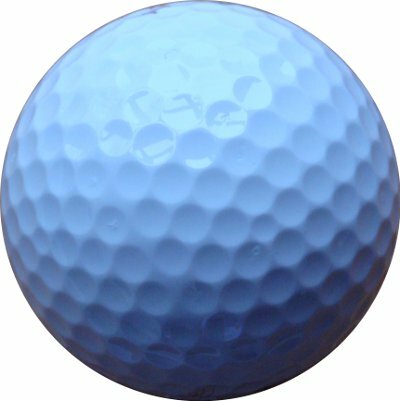 A great tee shot. We did get one 2 this week and kudos to Erica for managing to scoop the prize again, and on the 13th again too. After the 15 holes, I snuck a win to nibble away at Marena’s lead in the Winter League. Chris finished in second place in a welcome return to form after injury. In the clubhouse, further kudos to Erica for a lovely chocolate cake. Yum ?